J.K. Rowling wasn't too happy to be outed as Robert Galbraith, the author of "The Cuckoo's Calling," but now that the secret's out she's speaking about the crime novel and why she chose to write it under a pseudonym. On Galbraith's official website, the "Harry Potter" scribe explained why she chose to write the book using an alter-ego.
" I was yearning to go back to the beginning of a writing career in this new genre, to work without hype or expectation and to receive totally unvarnished feedback," she wrote. "It was a fantastic experience and I only wish it could have gone on a little longer." Rowling added that she loves detective fiction, saying, "Most of the Harry Potter stories are whodunits at heart ('Order of the Phoenix' is more of a why-did-he), but I've wanted to try the real thing for a long time." And why the name Robert Galbraith? Rowling explained, "I chose Robert because it is one of my favorite men's names, because Robert F. Kennedy is my hero and because, mercifully, I hadn't used it for any of the characters in the Potter series or 'The Casual Vacancy.' Galbraith came about for a slightly odd reason. When I was a child, I really wanted to be called 'Ella Galbraith,' and I've no idea why. I don't even know how I knew that the surname existed, because I can't remember ever meeting anyone with it. Be that as it may, the name had a fascination for me." She added that using the pen name -- and her identity later being revealed -- was not part of a marketing campaign to boost sales for the book. "Being Robert Galbraith has been all about the work, which is my favorite part of being a writer. 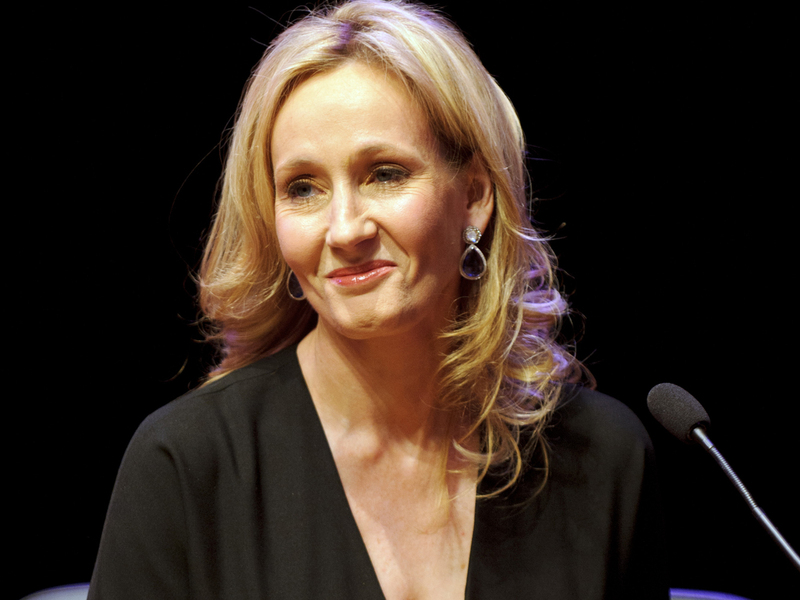 This was not a leak or marketing ploy by me, my publisher or agent, both of whom have been completely supportive of my desire to fly under the radar," Rowling wrote, noting, "If sales were what mattered to me most, I would have written under my own name from the start, and with the greatest fanfare." Rowling's identity as the author of "The Cuckoo's Calling" was revealed last week, leaked by a friend of one of her lawyers. At that point, she wrote, the book had sold 8,500 English language copies across all formats (hardcover, ebook, library and audiobook) and had received two offers from television production companies. "The situation was becoming increasingly complicated, largely because Robert was doing rather better than we had expected him to, but we all still hoped to keep the secret a little longer," she wrote. "Yet Robert's success during his first three months as a published writer (discounting sales made after I was found out) actually compares favorably with J.K. Rowling's success over the equivalent period of her career!" Rowling also confirmed she intends to continue writing as Robert Galbraith -- she said she just finished the sequel to "The Cuckoo's Calling" and expects it to be published next year.